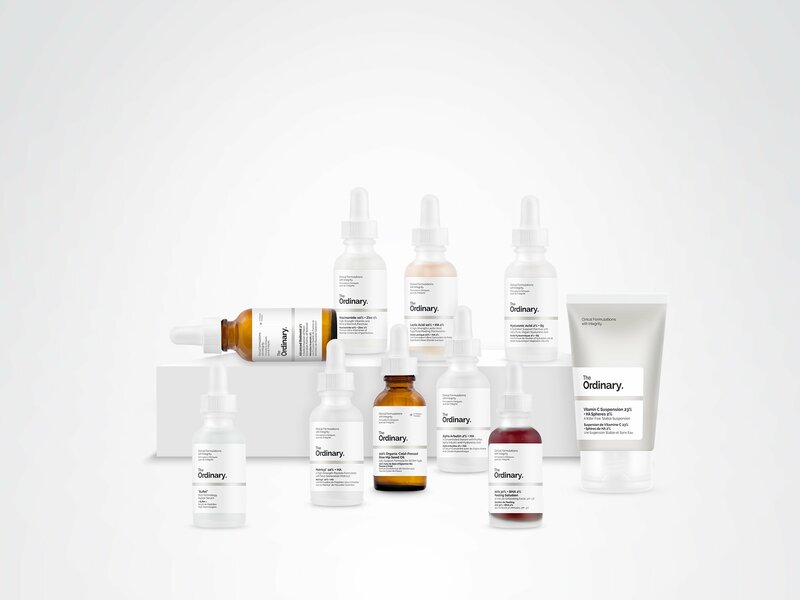 The Ordinary skincare is one of the latest line’s from parent company DECIEM creating a major buzz among skincare lovers or just anyone looking to treat their skincare concerns. It certainly perked my interest when I heard most of my friends chatting about it and the fact that it was literally a fraction of the price of other skincare brands. We’re talking $5-$12 a bottle… My immediate thoughts when I discover a lower price skincare line is that it can’t be any good… because why would it be so fairly priced? This never happens! Skincare is so expensive. So, I decided to dig deep and learn more about The Ordinary line. Unfortunately, this is NOT considered a natural or organic skincare line however there are some elements to it that are derived from 100% plant based ingredients and some products are cold-pressed oils and serums. Since it’s been my main objective to have at least 80%-90% of the products on my skin be natural, this fit into the 10%-20% that I can play around with. Bria and I attended a free workshop at CurliQue in downtown Vancouver to learn about The Ordinary skincare line. We were amazed at the information that was provided to us by CuliQue’s Q-Talent, Harold. He was a wealth of knowledge about the line and just skincare in general. We learned about purpose of each product and how it can help our skin. After a free 1 hour workshop, we were able to purchase the products that were best suited for our skin. This was SO great because reading about the products online is not enough to help me decide which one is best for my skin. I really need someone to look at my skin and assure me that what I’m choosing is correct. So, I thought you guys would want to know too! I’ve asked CurliQue’s Q-Talent, Harold, to answer a quick Q&A below chatting about The Ordinary collection to answer some questions that you may have about the line. Take a quick read below and hopefully this helps you choose the products that are best suited for your skin type. 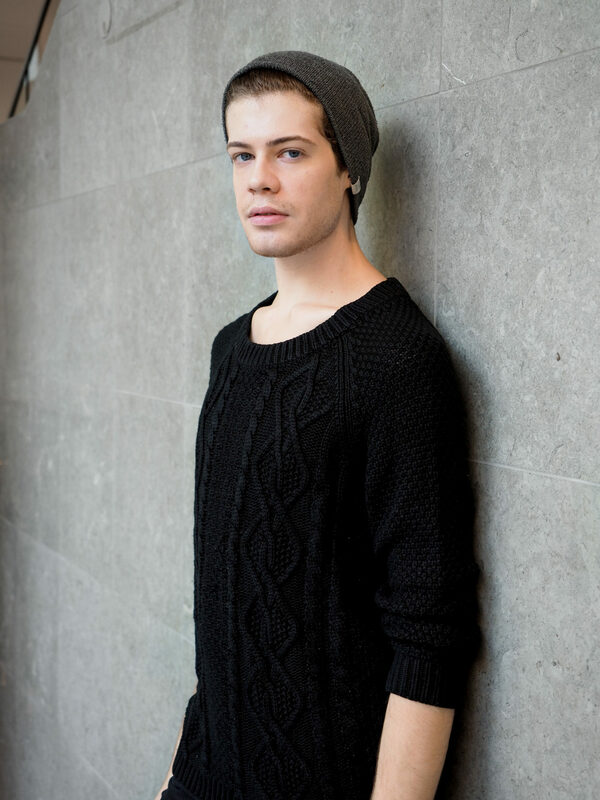 Harold is available at the CurliQue on Robson & Homer for one-on-one skincare assessments and can talk you through the line. I highly recommend that you go see him! Harold helped me pick out 2 serums to begin with. In conjunction with my normal skincare routine, I’ve been using the 100% Plant-Derived Squalane as an everyday hydrating serum and the Alpha Arbutin 2% + HA for blemishes and dark marks. There is another free workshop at CurliQue on The Ordinary coming up this Sunday, November 5th. Register HERE. Q: What is your role at CirliQue? A: As a Q-Talent at CurliQue, my main role is in retail, as someone who can be relied upon for honest advice regarding skin, hair and makeup; for anyone and everyone. Q: How many years have you been in your profession? A: I’ve been in cosmetic retail/freelance for about 4 years and counting! I started in Whitehorse, Yukon, and am now honoured to say that I work for Blanche Macdonald and their very own beauty store CurliQue Beauty Boutique in Vancouver, B.C. Q: Why do you carry The Ordinary? A: High demand and excellent product results, I would say. We have an amazing team at Blanche Macdonald Centre that decides which brands we carry in CurliQue. Q: What are the best-selling products from The Ordinary? A: At our space, I would say that the Hyaluronic Acid + B5, Buffet, and Niacinamide + Zinc are the top picks! We also have a lot of customers who love the various oils. Q: Is The Ordinary a natural product line? If yes, please describe how. If no, are any products naturally based? A: They carry “natural” products such as the cold-pressed oils and serums, but I wouldn’t call them an “organic” line. Their brand is science-based and rooted in clinical formulations, however they use a lot of simple ingredients to create their products. Q: What is the difference between the lighter and darker bottles? A: The difference is that the dark glass helps to reduce light-induced damage to the product, whilst the clear glass is for photo-stable products. Q: How quickly can you see results? A: It will vary for every individual, from a few days for first results, to months of prolonged use for maximum results of some products. Q: Why is The Ordinary line so cheap? A: The products were thought up with price in mind by Deciem (The parent company) as a way of providing quality skincare without the luxury price tag. The products are also in minimal packaging, with simple applicators, which also helps to cut cost. Q: What is your favourite product combination for sensitive skin that is normal to dry? A: It depends on what you’d like the routine to do for you! The products can be customized based on your concern. For basic hydration, I’d recommend the Hyaluronic Acid + B5 for a serum, followed by the Squalane to seal it all in! It’s super straightforward, and would help maintain plump skin for someone who’s sensitive. Q: What products help with blemishes? A: Niacinamide + Zinc serum for oily skin, Salicylic Acid serum for a spot treatment or all over, or the Lactic Acid 5% (or 10%) to keep the skin smooth and unclogged. Q: What products help with redness? A: Surprisingly, the Azelaic Acid 10% is meant to reduce redness associated with rosacea and sensitivity. You could also sooth the skin with gentle moisturizers like the Natural Factors + HA or the 100% Cold-Pressed Rose Hipseed Oil. Q: What products help with uneven complexions? A: They carry a variety of skin-evening products, with ingredients ranging from stabilized vitamin C in various textures, to Alpha Arbutin serum for hyperpigmentation. You could also use the chemical exfoliants such as the Alpha Lipoic Acid, or Lactic Acid 5/10% to help reduce uneven skin tone.